I was all, "You have to make sure Ruby doesn't eat it," as I signed the permission slip. That was my biggest fear. Then she'd be known as the kid who killed a class pet. Not on purpose, obviously, but still. 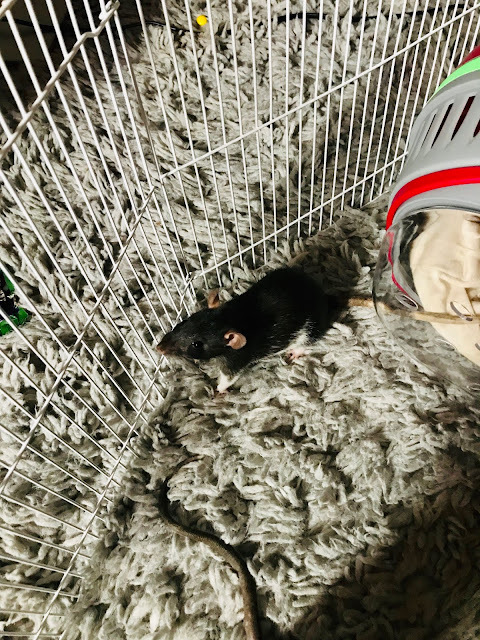 The next day Natalie informed me that she was taking home two rats: Nova and Luna. 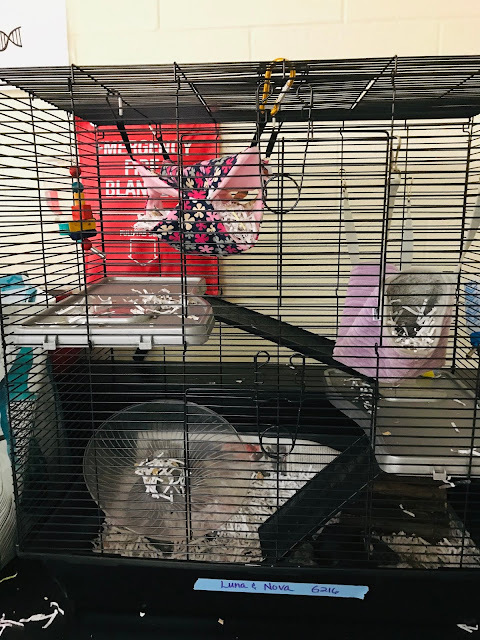 They hang in the same cage. 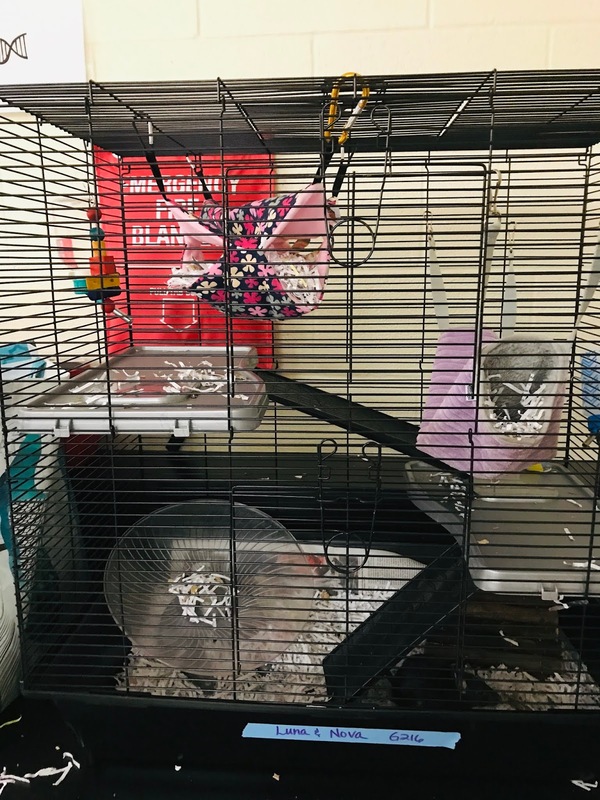 I went to help Natalie and at first the teacher shows this GIANT cage. "But we have a smaller one if you prefer," the teacher added. She probably noticed my horrified expression. I told her yes please, I'd take the smaller one. "But will the rats be okay? Happy?" I pressed. I picture them protesting. What if one died out of anger? I didn't know how rats operated. Were they spiteful? "They'll be fine," the teacher assured me. "Happy is another story." Well, lovely. But sorry rats, there was no way I'd be able to get the giant cage into the car without hurting myself. The rats were put in a small carrying case. "You need to hold that down," the teacher told Natalie. "They know how to get out." I pictured rats escaping down the middle school halls. More screaming. "Hold that down tight," I told Natalie. We were also given a bag of food, plus paper for the cage bottom. Plus instructions. It was still awkward getting out of there. I did bang into a wall once. But luckily the rats were with Natalie. We made it into the car. "Remember to hold the lid down," I told Natalie. I pictured the rats escaping. Suppose one went under the brake? Then what? "These rats want out," Natalie told me. "One just pooped." "Make sure you take proper care of them," I reminded her. "I won't be doing anything." We hurried into Natalie's room. Ruby was all, "WTF is that?" as I went by with the cage. We shut Natalie's room door. Natalie put the rats in their cage. They seemed happier to be out of the carrier, but still were miffed on not having their larger cage. They blinked at me as if to say, "Why are you so weak? Why couldn't we have our larger cage?" Nova and Luna were pretty sweet though. Natalie did play with them. She fed them, Got them fresh water and offered treats. 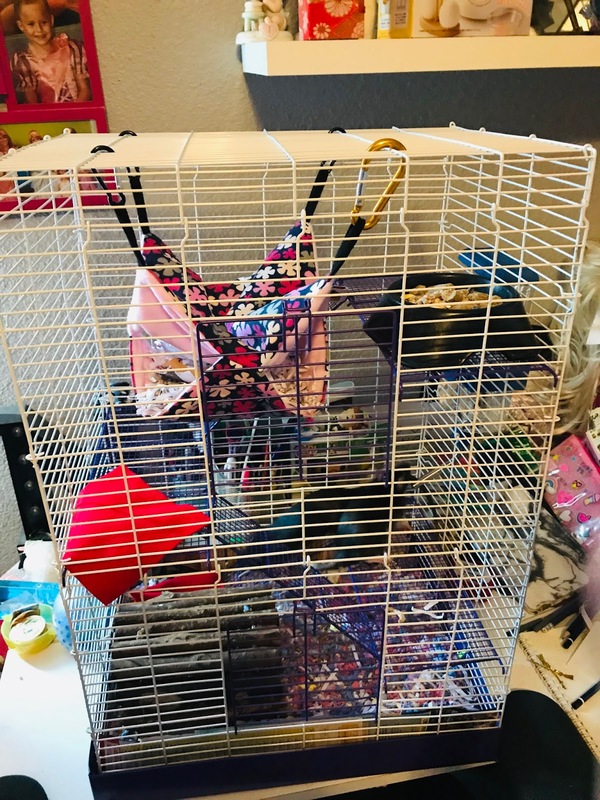 She even cleaned out the cage on her own. Mind you, I did have to help watch the rats, because, as I said before, they knew how to get out of the carrier. So I held it down while Natalie cleaned. Or we'd let them run around in the enclosure, but they knew how to hop out of that. The good news is, Natalie kept them alive! I was so worried one would die out of anger over not having the larger cage. 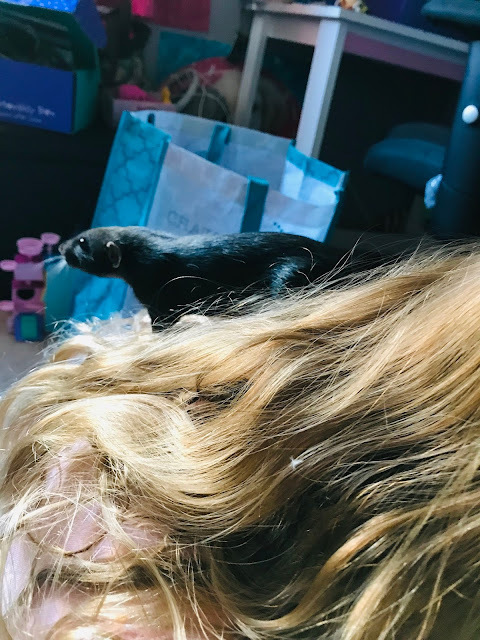 But Natalie would play with them daily, because rats need to be handled daily, and they were okay. 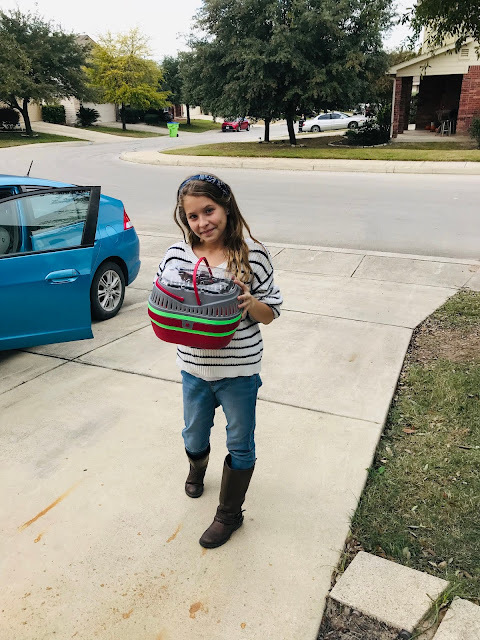 Natalie is hoping she can take home more critters over Christmas break. Maybe even Nova and Luna again. "That's fine," I said. "But just don't let Ruby eat it." Man the sacrifices one makes for their child. She seems to be raided well as she was very responsible with the "critters". My dog would be all over them! OMG this is awesome! If anyone ever told me that as a parent I would be helping with projects (and sometimes creating) and learning math again I would laugh! 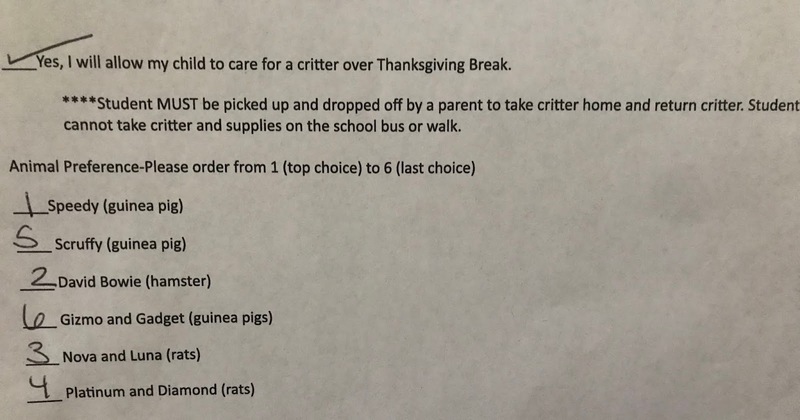 I love how the class pet teaches responsibility and connecting :) for both students and families. Thank GOD my kids school doesn't do anything like this. I would be terrified to be responsible for a pet!! You are a brave mom! I'm terrified of rats and there is no way I'd ever have one in my house. I wouldn't be able to sleep a wink. I LOVE rats! Rats get such a bad wrap. People think they're dirty, evil, disease carrying monster. As you learned, though, they're actually pretty freaking awesome. They are super smart and so friendly. They're like a super tine dog/ferret cross. Zachary once got to bring home a hamster over Thanksgiving. It was a lot of fun, but carrying the cage out of the school was definitely hard! I think it is a great idea the kids learn how to take care of pets. It teaches them responsibility and empathy all at the same time. It cracks me up that you were worried what would happen to the rats. 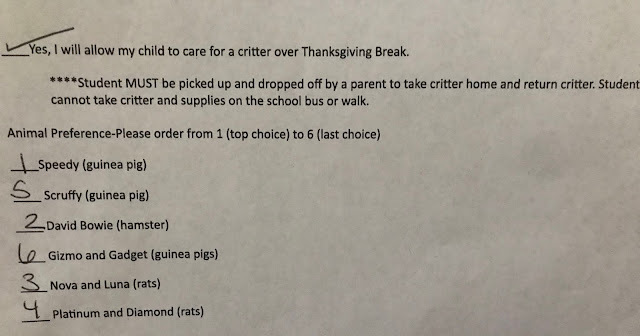 The thing is is that I would be worried that my kids would be the one that killed the pet from the classroom also. I give you a lot of credit for allowing that one into your house. 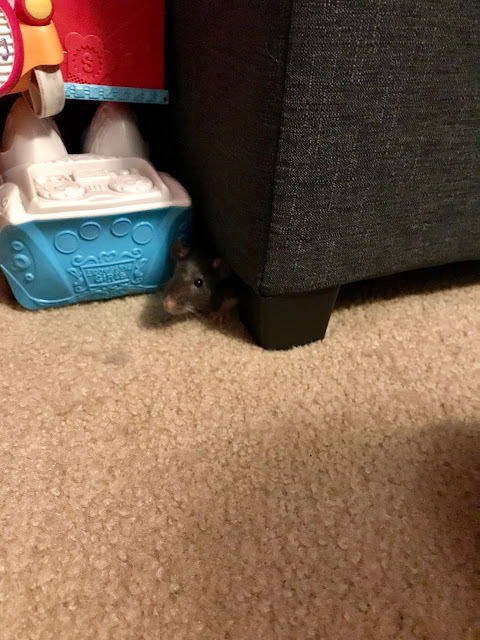 I love animals and pets but never had a rat, so enjoy. We took care of classroom pet one summer when the twins were in 2nd grade. Let me just say I ended up making a visit to the pet store to find one that looked just like the classroom pet. Fortunately, the teacher understood and told us this happens every summer. My kids love animals and it's important I think to introduce the care at a young age. I'll never forget how excited my oldest was to bring home Pierre the bunny several times. This brings back memories of the time I had mice for pets. They escaped from their cage and scared my sister in the bathroom. Now, I dont do pets. I need a glass of wine just reading this. Go you! The things we do for our children. Also, you're open to doing it again! You're my super hero!! We never had a pet at school but I know how hard it was to keep our own pets alive - hamsters and gold fish! This is so funny. I never took home the class pet as a kid and my kids haven't had the opportunity either. Seems fun but stressful! This is hilarious. Oh my goodness. Luckily for me my kids love animals so they would be well cared for if they came home. I am not too sure how I feel about rats though. Rats are so smart. I don't want them as pets because they're basically escape Rtists and I can't handle that responsibility. You have a much bigger momma heart than me. I could not allow this. I wouldn't sleep in the house if they were there. Ha! Good luck keeping the class pet alive! I believe in y'all!! LOL!! 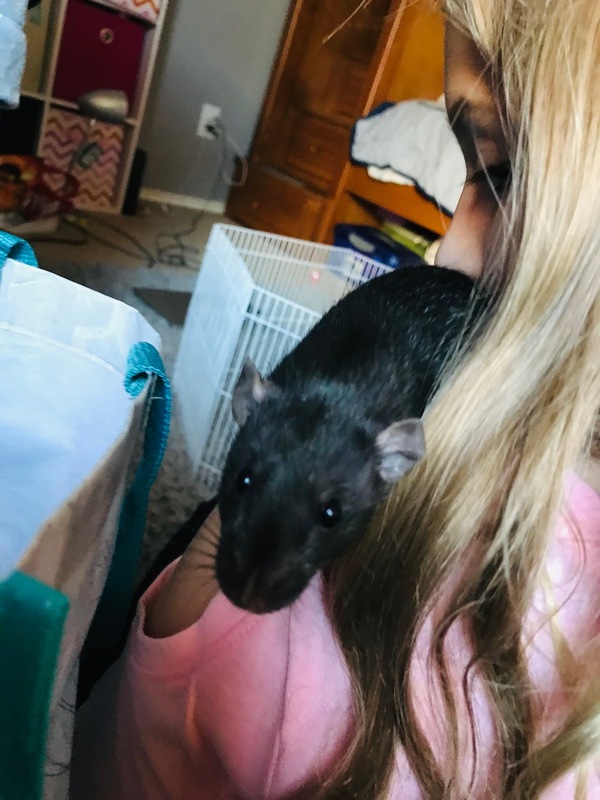 In fact I am really afraid in Rats but this is awesome reminder thet we still need to care for them and to teach kids how to value each little creatures. This brings back so many amazing memories of my childhood, and the class pets I had. Glad to hear all went well. What a nice way to let the children learn about the pets by taking them home. The rats looked quite the stars, with all the attention that they must have of course received. The sacrifices one makes for their child, i;m over here cringing. Oh my. That’s interesting. I can imagine the reservations you must have had to have rats in your house that you actually invited. You're a cool mom for letting her take those critters home. This brought back memories, my sister and I had a pet hamster, Suzy, when I was younger - haha. Rats scare me but that one is cute. We have guinea pigs and rabbits, also added some chickens lol. This was a fun and interesting read. I liked the way you expressed your thoughts! The rats escaping in the bus. LOL! I also thought... Kids screaming, jumping and me fainting! ^_^ What a great idea for instilling responsibility for kids. I love your article! What an interesting way to instill responsibility in children. The rats look so cute. I can't imagine I can pet rats at home. I really scare of rats. I have never thought of having rats or mice for pets but they look too cute! From my grandma, I'll agree that rats are smart! I couldn't do it. I mean I would.. for my kids.... but.. shudder. I can't handle any pets that belong in the sky, in the ocean, or in cages. I can't. Although if one was named David Bowie, like above, maybe I'd make an exception? Pets are great to teach responsibility to kids. I used to have rodents as pets when I was a kid and they are super adorable.